Home/Investigators and Research Centers/Investigators/Natalia Basile, Ph.D.
Dr. Natalia Basile is a senior embryologist at IVI Madrid.She graduated as a biochemist in 1999 from JFK University in Buenos Aires, Argentina. After graduating she went on to pursue her IVF laboratory training in United States. She temporarily joined RMA of New Jersey to then participate in the start up of RMA of New York, where she became Laboratory Supervisor for several years. 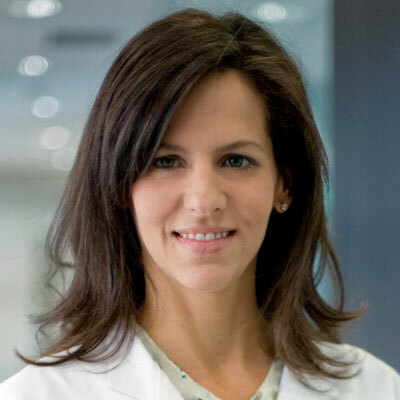 During her years in United States Dr. Basile obtained her Master’s Degree in Clinical Embryology and Andrology at the Eastern Virginia Medical School and the Jones Institute for Reproductive Medicine. In 2008, she moved to Spain, where she joined IVI RMA Madrid. Since then she´s been actively working in the clinical IVF and research. Dr. Basile obtained her PhD from Universidad Rey Juan Carlos in Madrid where she focused on embryo development and morphokinetics. Dr. Basile is an ESHRE certified member since 2008. She has been invited to speak nationally and internationally and has authored several peer reviewed abstracts, publications and book chapters. She has been involved in teaching classes in Master’s Degree Programs at Universidad Rey Juan Carlos and European University in Madrid.